Nice... I wonder how many Colombian bakeries are in Jackson Heights? I can't stand Colombian coffee, er coffee flavored hot milk. 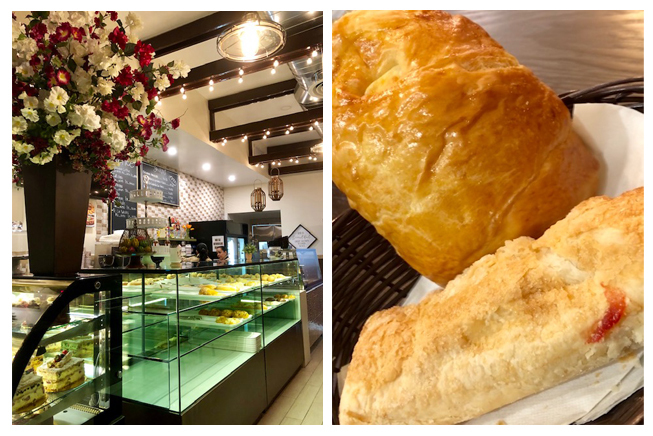 I do enjoy a good cafe con leche at our Colombian bakeries, but I wish we had a Cuban bakery in the neighborhood. 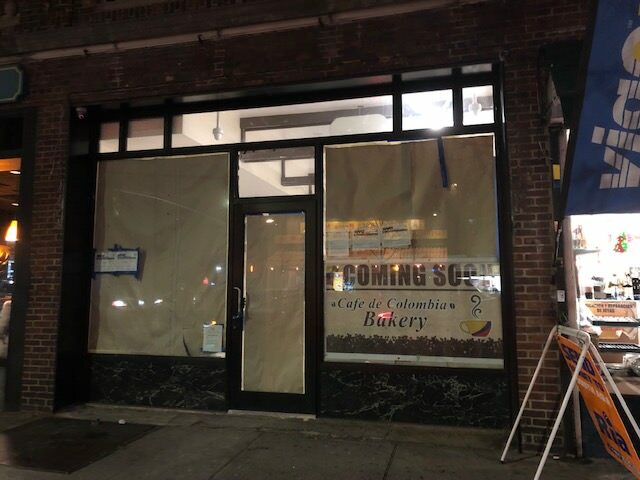 There's a Caribbean style bakery in Sunset Park, Brooklyn called La Gran Via that may be making its way to Roosevelt Avenue soon. 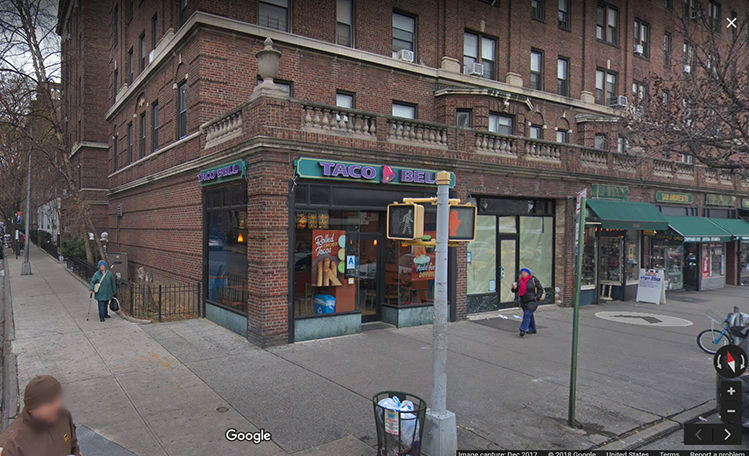 They tweeted about a Jackson Heights location back in September, by 78th Street. I'm craving pastelitos de carne (puff pastry stuffed with beef). The puff pastry has a nice sweet sheen on it, and the meat is seasoned perfectly. These pastries have there own unique flavor that sets them apart from a traditional empanada. However it turns out to be, it's better than an empty storefront. Pan Y Mas has been gone for quite some time - maybe even 2 years? I stopped by Cafe de Colombia a short while ago. They've done a nice job with the interior, and they've added padded benches by the tables making it a comfortable spot to grab a pastry and cup of coffee. I believe they opened today, so there was not much variety available just yet. I did try a pan dulce, and a guava stuffed pastry. The bread had a nice sweet flavor, light and airy on the inside, and flaky on the outside. The texture on the guava pastry was heavier, almost bread like, but it was generously filled. Next time, pan de bono! Suddenly, a glutenous explosion of new bakeries in the neighborhood. This one. Farine. A new one opening on Northern Bld. And one that opened recently near BLINK on Roosevelt. That's 4 new ones opening in the space of a few months. So weird how that happens. Same with pizza places. Or momo eateries. Etc, etc. It's either feast or famine. After two days in business, this place seems to be a hit already! I went in to look around and it was hopping at 2 in the afternoon. The decor is very attractive and the service is fast and smiley. I only took a pastry to go but would come back for some eggs and arepas. This type bakery replaces spots like Rico Tinto where they have fresh baked goods but also some food. And they have an espresso machine. The fact that it is much smaller than RT will make it possible to meet the rent, one hopes. A very nice addition to this stretch of 37th Avenue.